The Lord is with us. He promised to never leave or forsake us and sometimes we need to remind ourselves that even when we can’t feel him or see His hand working- He is with us in the midst of it all, God keeps His promises. Be still and know that God is on your side, He has armies of angels to fight and win every battle you may be facing, you are not alone. God’s ears are open to the cries of His children, He is faithful to deliver. He gives His angels charge over us to guard and protect us. God is strong and mighty and keeps us from dangers seen and unseen. 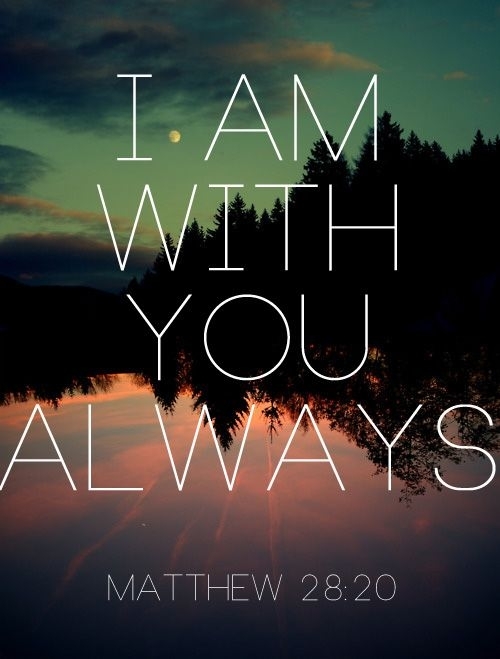 Many times in the bible God says, Fear not, have faith, do not doubt- you are not alone.